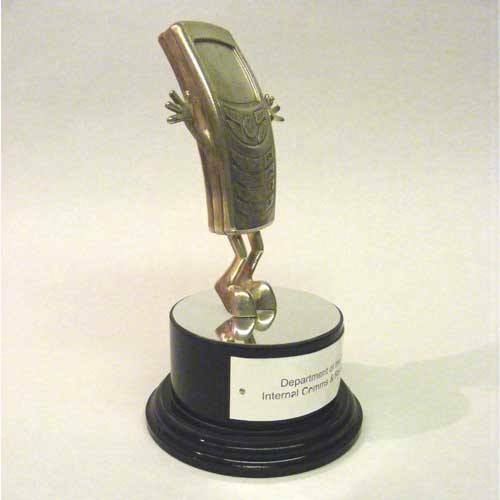 A cast and polished metal copy of the Carphone Warehouse 'mowbli' icon was produced from a CAD drawing to achieve a perfect representation of the image. The 'mowbli' was mounted onto a circular wooden base. 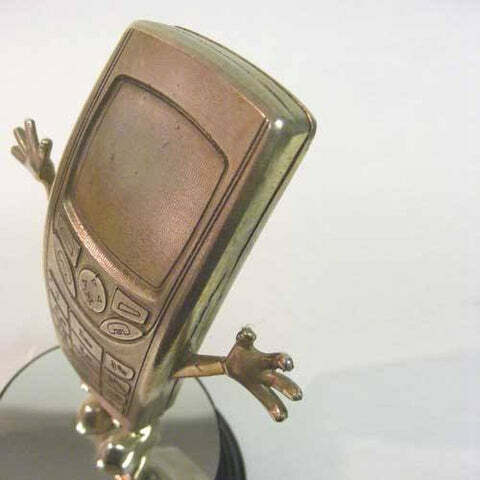 Specially commissioned by Carphone Warehouse.